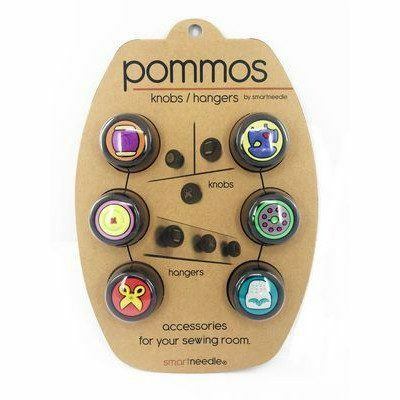 These Pommos Knobs and Hangers have 6 unique designs that will enhance any sewing room! Add a finishing touch to cabinets, drawers, or use as hangers. Ergonomic and soft to the touch with great color and detail. Made from quality rubber and hard plastic that is made to last. Hardware included.